Historical Marker #1577 in Madison County commemorates the home of early Kentucky settler Captain Nathaniel Hart. 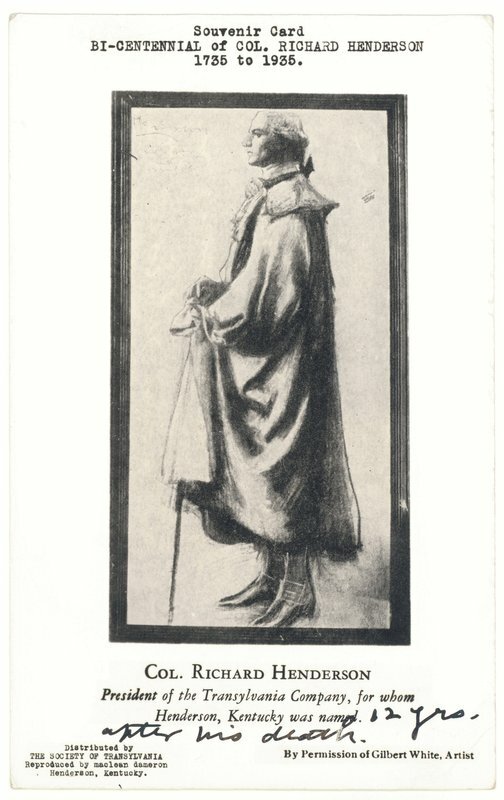 Hart, a Revolutionary War soldier, was a member of the Transylvania Land Company. As chief negotiator and a leading advocate for the organization, he was one of many who purchased about 20 million acres of land in Kentucky and Tennessee, a sale negotiated by Richard Henderson from the Cherokee Indians in 1775. The agreement, however, was ultimately deemed null and void by the newly formed Continental Congress. Hart was one of the original settlers of Boonesborough and helped with the construction of the fort. The Nathanial Hart House is believed to be the first home constructed outside the confines of Fort Boonesborough. It was finally occupied once the threat of Native American attacks was thought to have subsided. Hart was killed by Native Americans in 1782. Unfortunately, the Hart home was burned by vandals in 1989. All that now remains is the foundation. 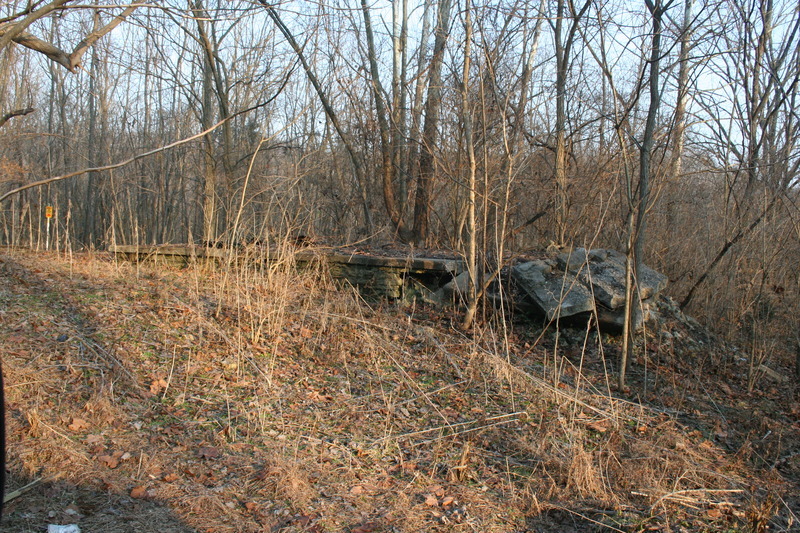 However, the site's location along Boone Trace makes it of particular historical significance. Hart chose a spot for settlement about a half a mile from the fort. He and his brother David devoted most of their time constructing the cabin in 1775. The building was composed of two square log pens separated by a frame dogtrot with an ell at the rear. V-notches at the corners connect the logs beneath the weatherboards. Hart had acquired 640 acres on the creek known as Hart's Fork in present Madison County. He spent much of his time on the land that had been allocated to him, planting, cultivating, and harvesting crops. He traveled frequently from this location back and forth to Virginia where his family lived. Every year, until his death in 1782, he raised a crop of corn. Owing to the difficulties of cultivating soil while exposed to the dangers of attacks, it became necessary to organize a company or corporation at Fort Boonesborough. The company was formed in the spring of 1779 to protect the crops, and Hart was one of the trustees. Given specific responsibilities, eighteen armed men banded together and patrolled the crops. Apparently the efforts paid off, because during the dreadful winter of 1779 to 1780, known as the "Hard Winter," corn became extremely scarce and Hart was able to sell it at $200 a bushel. In addition, on Richard Henderson's design for Fort Boonesborough, cabin #14 was labeled "Cabins for Hart and Williams." This provides strong evidence that Hart sometimes occupied this cabin in the southeast corner of the stockaded fort. While the Hart House historical marker has been relocated from its original site to the Fort Boonesborough park grounds for safety concerns, the actual site of the remains can still be found by traveling south on Highway 388 (Redhouse Road) for about 0.2 miles from the marker. 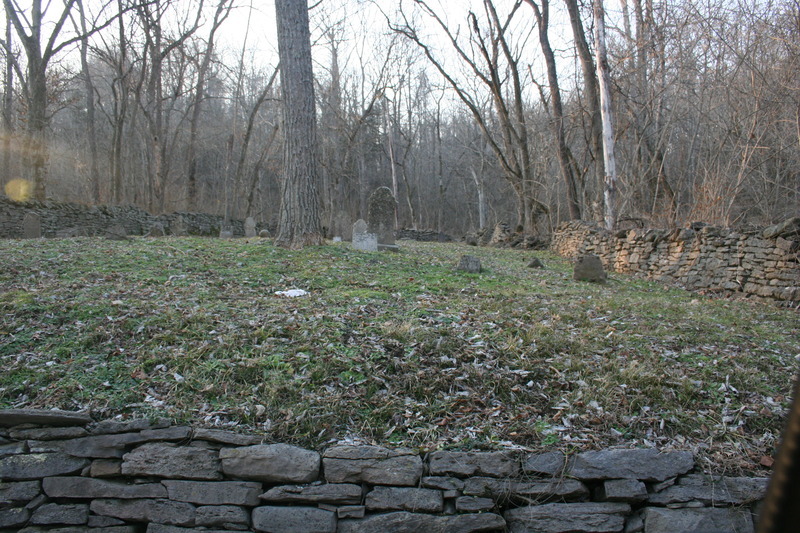 The foundation ruins are located just off the road on the left, a short distance past the Lisle Cemetery, which is easily identifiable on the right. Captain Hart and other pioneers are buried in the Lisle Cemetery. Hart House Foundation: The foundation remains of the Hart House are located on the east side of Highway 388 (Redhouse Road) about 0.2 miles south of the marker. Courtesy of Friend of Boone Trace, Inc.
Lisle Cemetery: Lisle Cemetery is located just opposite and slightly north of the Hart House remains on the west side of Highway 388 about 0.2 miles north of the marker. 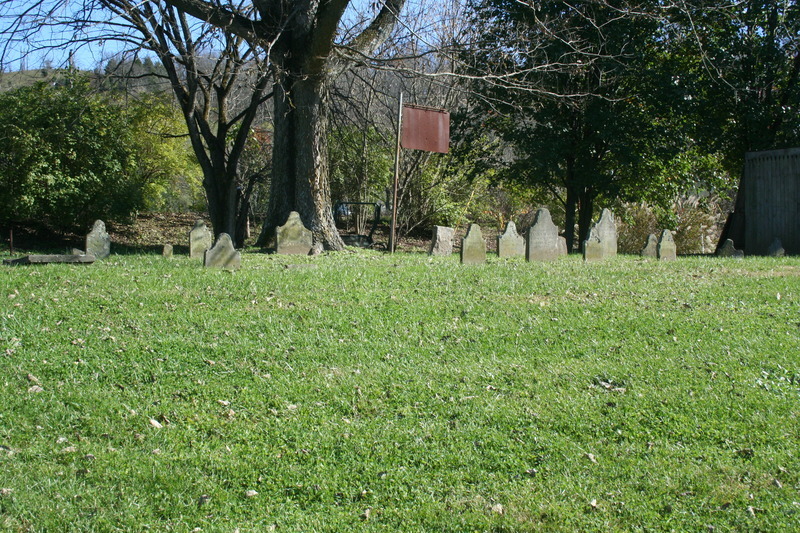 Nathaniel Hart is buried here along with other early settlers who lived in Boonesborough. Courtesy of Friends of Boone Trace, Inc.
Lisle House: The Lisle House, built 1800-1825 and located on Boone Trace (Highway 388/Redhouse Road), is about one mile south of the marker and off of the road on the right. It was significant as one of the earliest permanent structures built by Madison County settlers. Constructed of logs and now covered with weatherboards, a side dogtrot separates two rooms, each containing interior brick chimneys at the gable ends. A one-story frame connects to the main block of this house at its rear. Courtesy of Friends of Boone Trace, Inc.
Pioneer Cemetery: A pioneer cemetery is located on Boone Trace (Highway 388/Redhouse Road) south from the marker and just north of the first railroad crossing. It is about 200 feet on the left under a large tree. The cemetery is on private property so permission must be received to visit it. 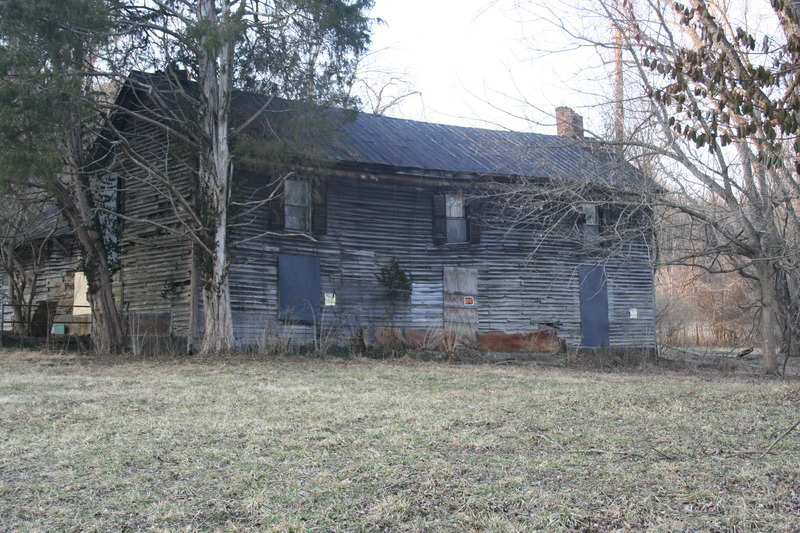 Courtesy of Friends of Boone Trace, Inc.
Redhouse House: The Redhouse House, located on Boone Trace (Highway 388/Redhouse Road) about half way to Richmond on the east side of the road. 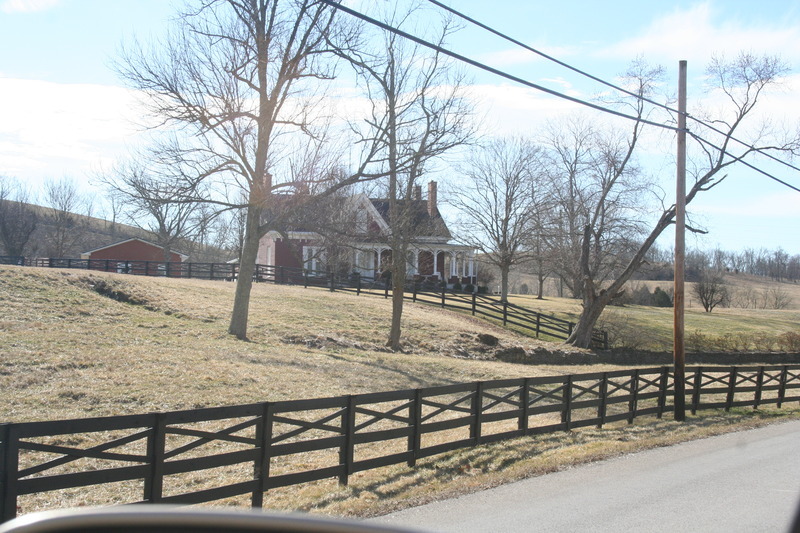 Built in 1825, it served as a stagecoach stop between Richmond and Boonesborough. The house is listed on the National Register of Historical Places. 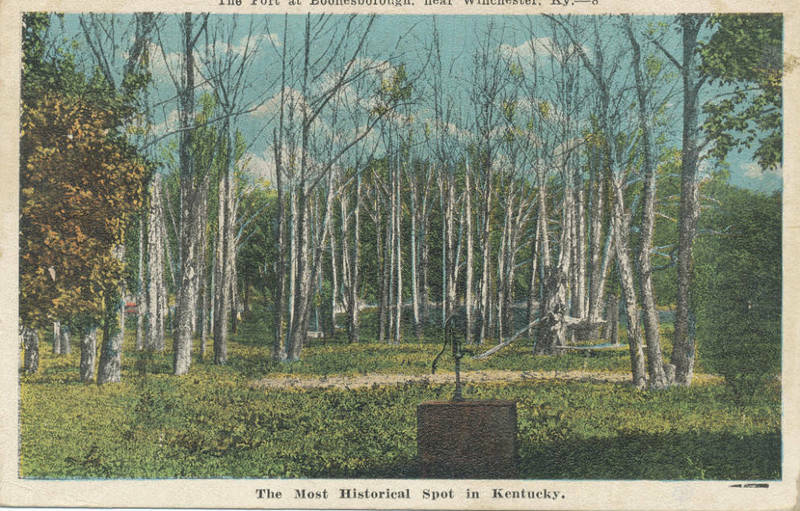 Courtesy of Friends of Boone Trace, Inc.
Fort Boonesborough: This postcard shows the original location of Fort Boonesborough. Nathaniel Hart is believed to have constructed the first home near but outside the confines of Fort Boonesborough. Courtesy of the Kentucky Historical Society. Richard Henderson: Richard Henderson was the founder of the Transylvania Company. He and his associated negotiated a massive land purchase from the Cherokee Indians that would eventually become the state of Kentucky. Courtesy of the University of Kentucky. Replica of Jack Hart's Rifle: This rifle is a replica of that owned by Jack Hart. Hart was an enslaved African American owned by Capt. Nathaniel Hart. Jack Hart was present at the Sycamore Shoals purchase of Transylvania and helped construct Fort Boonesborough. He was emancipated in 1803 by Nathaniel Hart, Jr. Hart's rifle was loaned and lost at the Battle of Blue Licks. In 1846, a resolution was offered in the Kentucky legislature to replace Hart's rifle. In 2005, this rifle was made as the replacement. Courtesy of the Kentucky Historical Society. Friends of Boone Trace, Inc., “Home of Capt. Nathaniel Hart,” ExploreKYHistory, accessed April 22, 2019, https://explorekyhistory.ky.gov/items/show/406.